Every day, you lock the doors to your business, but how is your digital infrastructure protected? Security is everything in business, unfortunately most business stop thinking about security as soon as they have sorted their CCTV, Alarm and various businesses insurances. At Foresee, we have a multi-layered approach to securing our business and securing our customers. This is done with 3 simple yet effective services in addition to the everyday router or firewall that you have in place. from encrypting files using signature-less behavioural monitoring technology.  There is so much this product can do for every business, why not head over to our Malwarebytes page and get your free trial today. This is the most traditional layer of security and consequently, the most common inside businesses. The biggest problem being, so many people still believe that this is the only layer they need. Anti-virus software has ultimately been around a long time but it doesn’t identify a huge number of threats out there in the cyber space,leaving your business vulnerable. Check out our Anti-Virus Protection page for more information on what we use and why we use it. happen if your business was burgled or burned down? Our prepared layer, is the cloud backup service we offer. The service delivers the ability to access your data and allows you to function in the face of disaster for 30 days,whilst your business or digital infrastructure is re-built. The product we use, is best in class and based in the UK. Head over to our Cloud Backup page for more information. Don’t leave it until it’s too late, get prepared today. Get in touch today via hello@foreseegroup.co.uk to find out how little it will cost to add multi-layered security to your business.